The perfect gift for cider lovers. 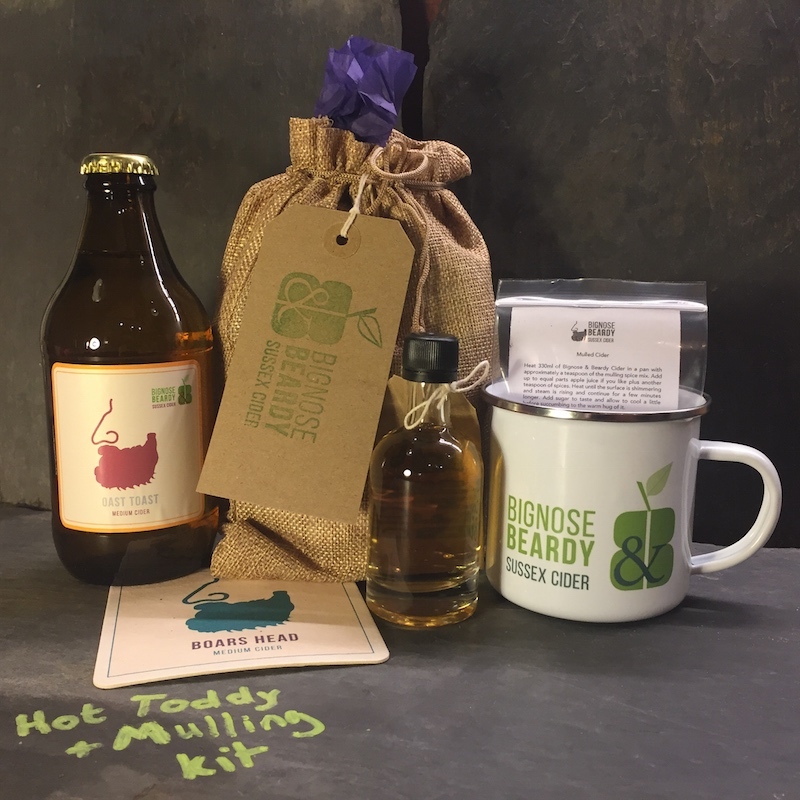 A 330ml bottle of our award winning Oast Toast Cider 6.7% vol; A 50ml bottle of our Cider Spirit (because we can't call it Brandy) 40% vol; A pack of mulling spices; A limited edition Bignose & Beardy enamel mug; Beer mat and instructions for making both the perfect mulled cider and a bracing hot toddy. Both perfect for winter evenings by the fire with a loved one. Order by 19th December for delivery by Christmas. Local customers, use coupon PickupSpirit to avoid paying delivery charges on this order. You can collect from the Cidery on Fridays or at other times by appointment. We aim to deliver within 7 days. Deliveries must be signed for by a person aged 18 or over. Drivers operate a challenge 25 policy: if you appear under 25 you will be asked for photo ID.